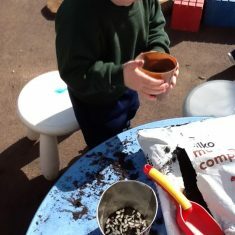 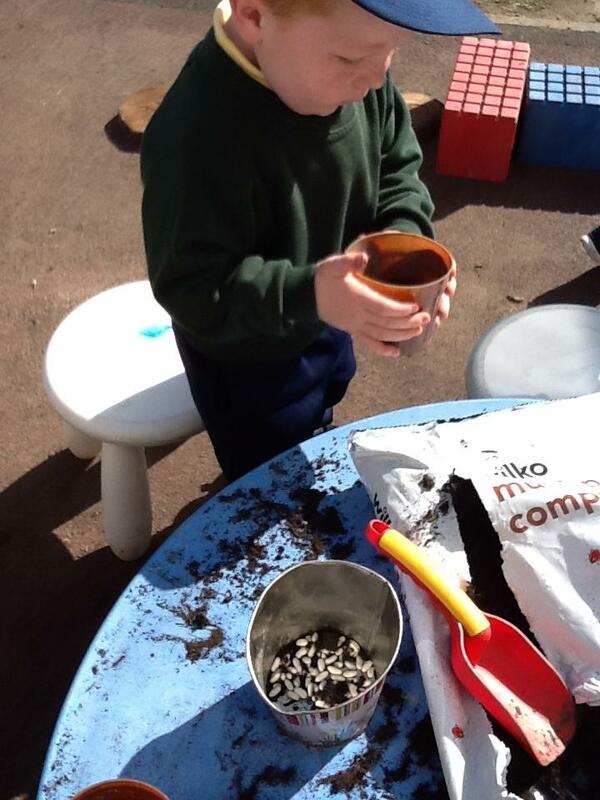 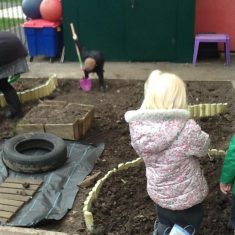 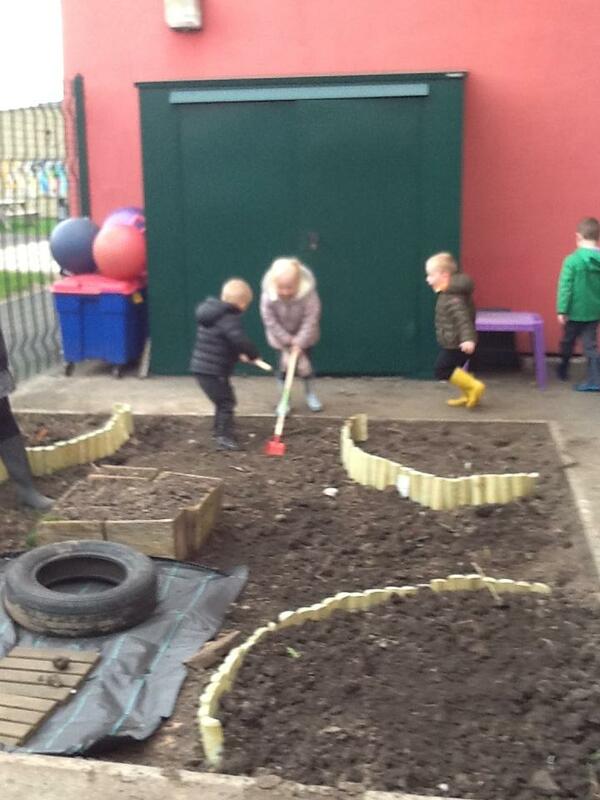 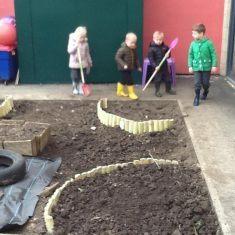 The children in Nursery, have been working hard to prepare our vegetable patch ready for planting. 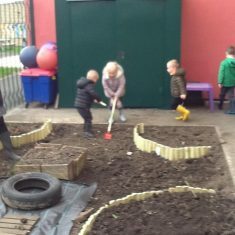 They have helped to turn over the soil and add compost. 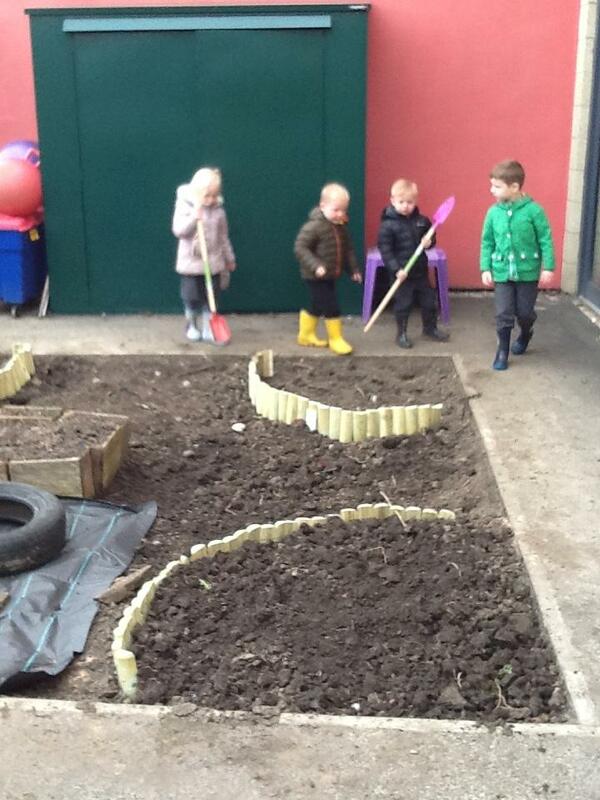 They have planted seed potatoes and onions in the ground already. 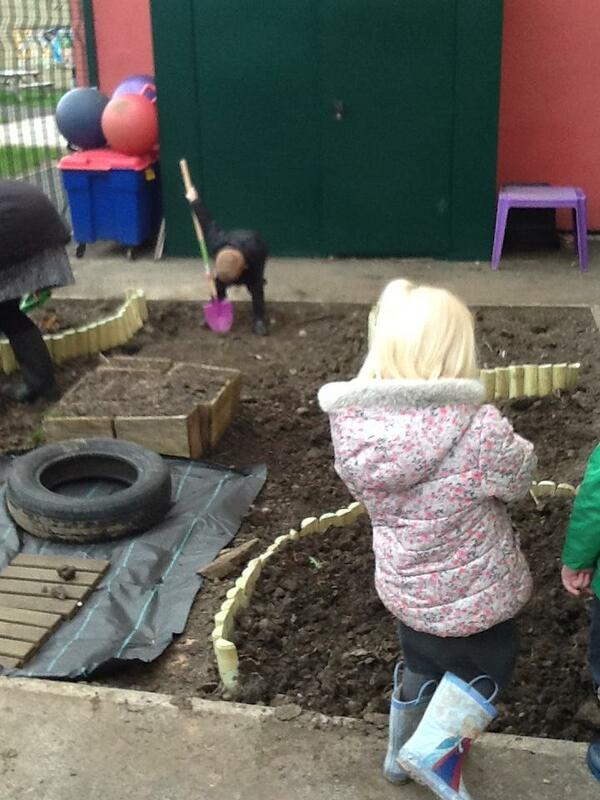 We are hoping to see signs of growth very soon.